As one who is learning Mandarin, I must disagree, there are many Chinese languages that are different. Cantonese, Mandarin, Wu, etc are not dialects of Chinese, they are completely separate languages. These languages then have dialects composing them. They do, however, thanks to Qin Shi Huang, all use the same character system, so they can all communicate through writing. That's why, thanks to Qin Shi Huang, they speak one language. There is no standard Wu or Cantonese, etc. :they defer to Mandarin. (A written form of Cantonese, with some independence from Classical Chinese and Mandarin, developed in Hong Kong, due to the use of English as the standard and the British need of colloquial communication only when it came to Chinese). Mutal intelligibiity isn't necessary for it to be one language:many languages have speakers who don't understand each other, and have to depend on the mutual standard. The problem is that the Russians have been claiming Bessarabia. Even recently, I heard about tensions between the Russian Orthodox and the Romanian Orthodox in Moldavia. Also, 25 years ago, before the "revolution," the newscasts from Moldavia which were in the Romanian language, Romanian was spoken with a Russian accent, and even written in the cyrillic alphabet, I think. The problem with the Russian claims is that Basarabia didn't ever belong to Russia before 1812. The use of cyrillic alphabet wasn't something of choice after all. It was something imposed by an occupying country. And the Russian accent can be explained by the Russian influence. I thought that the Ruissians had been there from 1711, when they were at war with the Austrian empire and the Turks? The main event of the conflict was the ill-prepared Pruth Campaign of 1711, during which Russian troops under command of Peter the Great and Boris Sheremetev attempted to invade Moldavia with the aid of Moldavian ruler Dimitrie Cantemir but were surrounded and defeated by the Ottoman troops under Grand Vizier Baltacı Mehmet Pasha, in a decisive battle at Stănileşti (started on July 18, 1711). Note: The KK peace treaty was signed in 1774. From 1711 to 1812 Bessarabia was occupied five times by Russian troops. 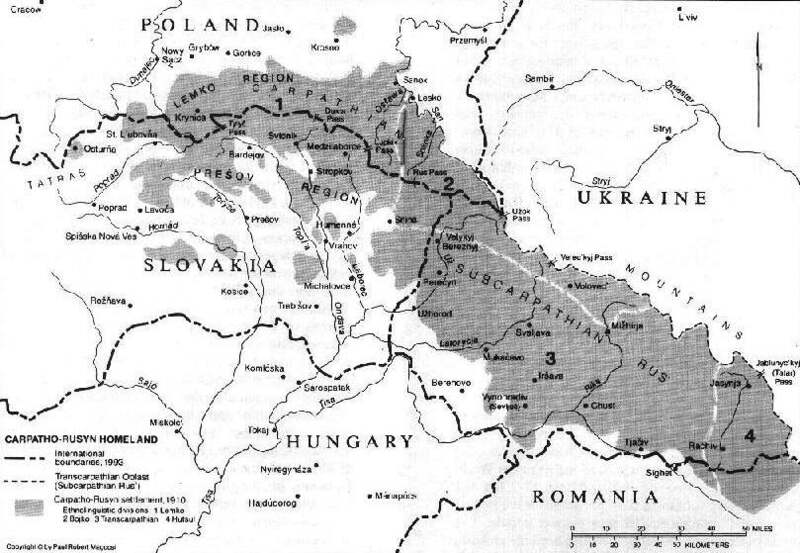 The Soviet government never recognized the annexation of Bessarabia by Romania. In the note dated November 1 1920 Russia protested against the annexation and the Parisian protocol confirming that. At the Viennese conference of 1924 the Soviet government proposed to conduct a plebiscite in Bessarabia; however, Romania, fearing its results, rejected the proposal of the USSR. I agree that mutual intelligibility isn't a factor, but most Chinese I've spoken to would assure me that they are separate languages. Certifications are different for the two languages. I have a level of certification in Mandarin, but nothing in Cantonese. The PRC recognizes them as separate languages as well. The objects of your posts I've linked lie in the Hotin, Cernauti, and Storojineti districts for the most part., what Ukraine administers as the Chernivtsi oblast. Hotin, as may be noticed, is part of Bessarabia, i.e. the Republic of Moldova of today, as are the Cetatea Alba and Izmail districts (which Ukraine administers as part of the Odessa oblast), at least before the Soviet Union took them and gave them to Ukraine. Khotin and Bukovyna are mentioned in the Primary Chronicle. The Crimea used to belong to the Crimean Tartars before the peoples (Ukrainians, Russians and Germans) moved into the area and were encouraged to move into the area. The capital of Bukovyna, which was inhabited by both Romanians and Ukrainians from the time of the Primary Chronicle at least, used to be Suchava. A beautiful historic city. Then when the Austrians took over Bukovyna in 1775, they decided that Chernivtsi must be the capital. That explains why it looks like such a new city and why the bulk of the buildings look so "German" in the Austrian empire style. But in the end who really cares? Borders are always changing. How many of the people oin this group really know about Eastern European history? If they did they would know that all these countries are multi-ethnic. And espceially the areas that used to be part of the old Austrian Empire. The Orthodox Church of Romania has a special Vicariate for the Ukrainian-speaking parishes in their country and the priests celebrate the liturgy in Church Slavonic with a Ukrainian accent (not Russian) and deliver their sermons in modern Ukrianian. And people move. Most of the Germans left the area during or at the end of WW@. I don't know when the Aremnians left. They didn't: there are still Armenians (and some Germans too). I've known only one Ruthenian from Romania, who was quite insistent that he was not Ukrainian. The existence of the Metropolitinate of Bessarabia and the Moldovan Orthodox Church means someone really cares a great deal. The Armenians used to play an important role in trade especially when Bukovyna was part of the Ottoman Empire. But if you go to major cities like for example Suchava, and see their beautiful church, you can't help but wonder what happened to them all. True a handful of Germans and even Aremnians remain but not inthe significant numbers there once were. The Ukrainians in Bukovyna around Suchava even in Austrian Empire were the minoirity just as Romanians in northern Bucovyna were the minority. Just check the census records which have a diagram for even every small village of the ethnic percentages. After the war there was a population exchange but some Ukrainians chose to stay in southern Bukovyna and can be found in various villages. These people have lived side by side with the Romanians for centuries and are very tied to their ancestral farm lands. This is different than for people who live in cities. There is a good Ukrainian school system for them (elementary and gymnasium) and of course the Univseristy of Bucharest have a Department of Ukrainian Studies. AS for Moldova, that whole situation is a different story. The Romanians there were treated badly bduring the Soviet era and now it is going to be different for the various ethnic groups to get along. It would be easier if all the recent Russians (since WW2 juct packed uked up and left but some of them have lived there alltheir lives. We can compare it to the Russians in Latvia for example. Somewhere in a pile of drafts on the topic of Ukraine, I have some maps on the ethnic composition. A compact Romanian majority inhabits the southern part of Chernivtsi region, in Hertsa, Novoselitsa, Hlyboka, and Storozhinets raions (districts). In Putyla and Vyzhnytsia raions Ukrainians Hutzuls form the majority. In the other five districts, and the city of Chernivtsi, non-Hutzul Ukrainians are in the majority. When the Austrians created Bucovina out of a chunk it took out of Moldavia, the Romanians were the majority at 85%. It took nearly a century to bring that to less than half, and it took over a century for the Ruthenians (NOT the Ukrainians) to surpass the Romanian numbers. I have a MA in East European history. I also read Romanian & Russian and can speak & read in Ukrainian. My great-grandparents came from Northern Bukovyna in the 1890's to Alberta, Canada. My father died when i was 2 years old and my mother re-married to a Ukrainian-Canadian whose family immigranted to Canada in the inter-war period from the southern part of Romania around Raudivsti. I have visited both sides of the border many. many times and I talk to everyone in Ukrainian which I learned at home and perfected in University. I have been to church in Bukovyna on both sides of the border. Also visited Ukrainian books stores in Romania and bought books and their newspaper. Prof. Nicolae Pavliuc at U of T now, used to be the head of Ukranian Language & Literature Dept. at the U of Bucharest before he emigrated to Canada. He has written extensively on Ukrainians and their literature in Romania. I don't know how anyone could have reliable ethnic statistics for 1775 when the Austrians took over. What are your primary sources. People were classified as Orthodox Christians at the time. And they all got along. The liturgy was celebrated in Church Slavonic everywhere. Church Slavonic was also the language of chronicles and historic records in Bukovyna. The Ukrainians (Ukrainian: Українці, Romanian: Ucraineni) are the third-largest ethnic minority in Romania. According to the 2002 Romanian census they number 61,091 people, making up 0.3% of the total population. Ukrainians claim that the number is actually 250,000-300,000. Ukrainians mainly live in northern Romania, in areas close to the Ukrainian border. More than half of all Romanian Ukrainians live in Maramureş County (34,027), where they make up 6.67% of the population. Sizeable populations of Ukrainians are also found in Suceava County (8506 people) and Timiş County (7261 people). Ukrainians make up a majority in the communes of Bistra, Maramureş, Poienile de sub Munte, Maramureş, Rona de Sus, Maramureş, Ştiuca, Timiş and Copăcele, Caraş-Severin. Also according to the census, 79% of Ukrainians were Eastern Orthodox, organized into the Ukrainian Orthodox Vicariate Sighetu Marmaţiei; 10% Pentecostal; 2.8% Greek-Catholic, organized into the Ukrainian Greek-Catholic Vicariate Rădăuţi; 2.1% Seventh-day Adventist; 1.2% Lipovan Orthodox and 2.9% stated they belonged to "another religion". A second group of Ukrainians in Romania live in the Dobruja region of the Danube Delta. These are descendents of Zaporozhian Cossacks who fled Russian rule in the 18th century. In 1830 they numbered 1,095 families . Over the years they were joined by other peasants fleeing serfdom in the Russian Empire. In 1992 their descendents numbered four thousand people according to official Romanian statistics  while the local community claims to number 20,000 . Known as Rusnaks  they continue to pursue the traditional Cossack lifestyle of hunting and fishing.Lauruc. A very nice man who also speaks french fluently and has a doctorate in theology. As an officially-recognised ethnic minority, Ukrainians have one seat reserved in the Romanian Chamber of Deputies. Ştefan Tcaciuc held the seat from 1990 until his 2005 death, when he was replaced by Ştefan Buciuta. 2.^ (Romanian) Populaţia după etnie şi religie, pe medii, at the 2002 Census official site; accessed January 4, 2010. 4.^ Calculated from statistics for the counties of Tulcea and Constanţa from "Populaţia după etnie la recensămintele din perioada 1930–2002, pe judete" (in Romanian) (pdf). Guvernul României — Agenţia Naţională pentru Romi. pp. 5–6, 13–14. http://www.anr.gov.ro/docs/statistici/statistici/t1.pdf. Retrieved 2007-05-02. 5.^ "Dobrudja". Encyclopedia of Ukraine. http://www.encyclopediaofukraine.com/display.asp?AddButton=pages\D\O\Dobrudja.htm. Retrieved December 21, 2006. Frankly, reading through all of this other than seeing that some people know little of east European history, I can't see why this is even up for discussion and what it has to do with the Orthodox Church. The Ukrainians in Romania are of course part of the Patriarchate of Romania have their own Vicariate under a Fr. N. Lauruc and do not use Romanian in their church. Actually, the Romanian Orthodox Church could be used as an example of how to treat different ethnic groups. Especially to the Moscow Patriarchate which ties to use their church as an arm of Great Russian Colonialism. TBoth the tsarist Russian Empire is dead and so in the Soviet Union. By the time Austria had seized Moldavia cradle in the Upper Country and refashioned it into Bukowina, the Romanian Orthodox under the Metropolitan/Patriarch of Karlowitz or the Phanar had switched from Church Slavonic to Romanian, a happy result of competition with the seizure of the Orthodox Church of Transylvania by the Austrian emperor for the Vatican. As a Pole once said Inter nos et Valachiam ipse Deus flumine Tyras dislimitavit "Between us (Slavs) and the Vlachs (Romanians) God has set the Dniester as the border." Better than one set by Hitler, Stalin, Rippentrop, Molotov and Khrushchev. What does all this have to do with religion. Various ethnic groups have lived side by side for centuries. Also from the medieval period it is really hard to find documentation and you certainly should be reading books by real scholars and not rhetoric on the internet. As for Moldova, let them have their own Romanian-speaking church. The poor Romanian-speaking people have suffered enough already. The works already cited aren't "real" scholars because they do not share your presuppositions? As for Moldova, let them have their own Romanian-speaking church. Are you saying that to Moscow or Bucharest? Or Kiev? The poor Romanian-speaking people have suffered enough already. I have read this whole thread and I really can't grasp what you want or are trying to proove. As for history, the analogy between the post-WW2 Russians who all moved to Latvia and are not mad that the country of Latvia is a free democratic not not part of Russia. Yes, I know that Russians lived in Bessarabia and it was part of the tsarist Russian empire but that empire fell in 1917. How many times can we fight these battles. I have met many immigrants from what is now called Moldova and almost all of them are Russian Jews who moved there after WW2 and wanted to get out. They don't want to learn Romanian so good that they left and are there anymore to make trouble. I have also met a very small number of Romanian-speaking immigrants from Moldova who left for economic reasons. I agree with the Romanian-speaking peole in Moldova who want to be re-united with Romania. Look at the advantages: Romania is not part of the EU and the standard of living has gone up. Yes, they have suffered under the Soviets just like the Finns living in their own ancestral lands in Karelia and forced to use the Cyrillic alphabet. Let them join Romania and be part of the Romanian orthodox Church. The MP is mad because its "empire" is falling. let Estonia have its own church and let Moldova have its own church before it joins Romania with the approval of the EU. By the way Iamstry the "Russian Wikipedia" is not a scholary work. Did I cite it as one? Cyrillic is the Finns ancestral script, used to write it centuries before the adoption of the Latin script. The Finns became Finnish under the Russian Czar, not the Swedish king. Who didn't suffer under the Soviets? Estonia has its own Church. That Estonian, Patriarch Alexis II, made sure of that.